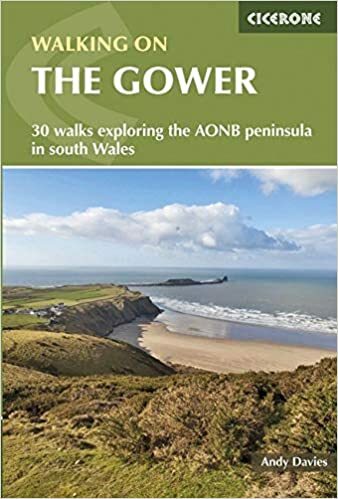 Below, RambleFest displays Gower guidebooks and maps, and provides the facility for buying them online. Chosen for its classic Welsh coastline and outstanding natural environment, Gower was the first AONB to be designated. Except for the small, urbanised eastern corner, the entire Gower peninsula is an AONB. Secluded valleys have rich deciduous woodland and the traditional agricultural landscape is a patchwork of fields characterised by walls, stone-faced banks and hedgerows. Among the many fine natural habitats are the mud-flats and salt-marsh of the Burry Inlet and the flora-rich limestone grasslands. 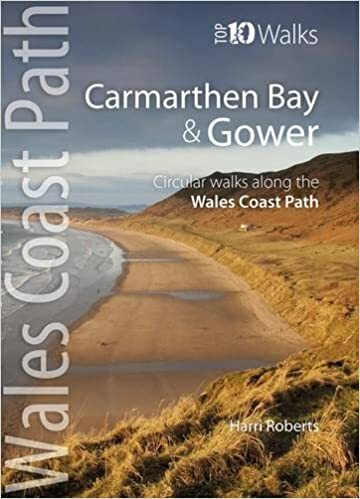 The western end of the Peninsula is listed in the Register of Landscapes of Outstanding Historic Interest in Wales for its Neolithic and Bronze Age features and its surviving medieval open field system. We display rambling books first, then various books of interest for those visiting the area. We welcome suggestions for inclusion. The Ordnance Survey `Explorer’ map is available in standard quality (shown) as well as the all-weather type.